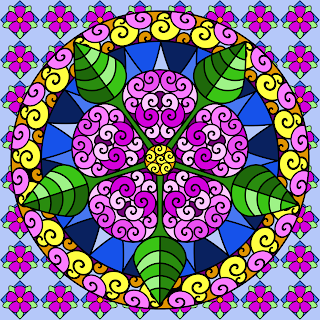 I drew both of these mandalas recently and thought you might like them as coloring pages. If you want to use them for embroidery or other crafty uses, you may. The coloring pages are 100 ppi, the colored versions are 300 ppi. Click on the images for the full sized versions. Thank you Sally! Crayons and pencils are the most fun aren't they? They're so pretty! Thanks so much, I'll be linking. This is the best stress therapy... we should start a campaign.. " get the world coloring" lol. Thank you for sharing. 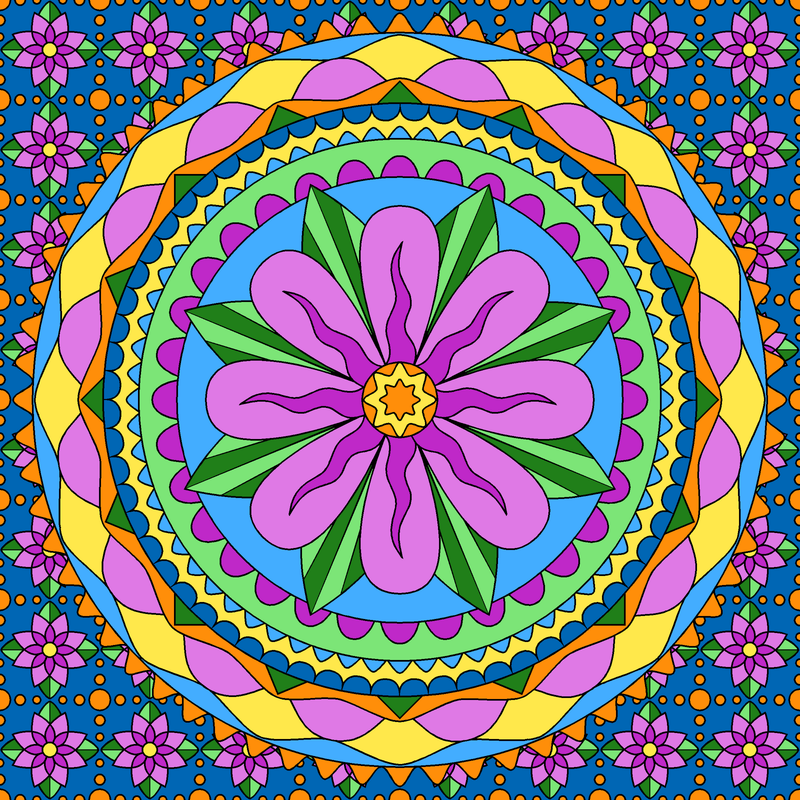 I like drawing also mandala. My students love to color these. Thanks for sharing! What a wonderfully generous gift. Thank you. Blessings be. thank you! my nearly 5 year old LOVES colouring in... and we've realised recently that its an activity we can do together that we both enjoy. Its a win-win really - she's happy b/c she's getting mummy time and i'm happy b/c it's relaxing!!! I'll be introducing her to mandalas tomorrow. so thank you for sharing your images... can't wait to show them to her! I'd love to embroider some of these for my quilts!! These are beautiful. I have some girls who will love these. Thank you for making these freely available. 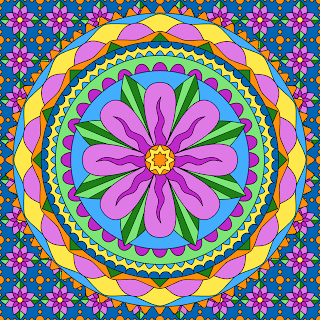 I'm a Teen Services Librarian and my teens love coloring - a great break for them from all the studying. I have used these with my students in high school and they absolutely love them! Thank you! Many thanks. My daughters love colouring and it's lovely when people are generous enough to provide some of their designs for colouring. 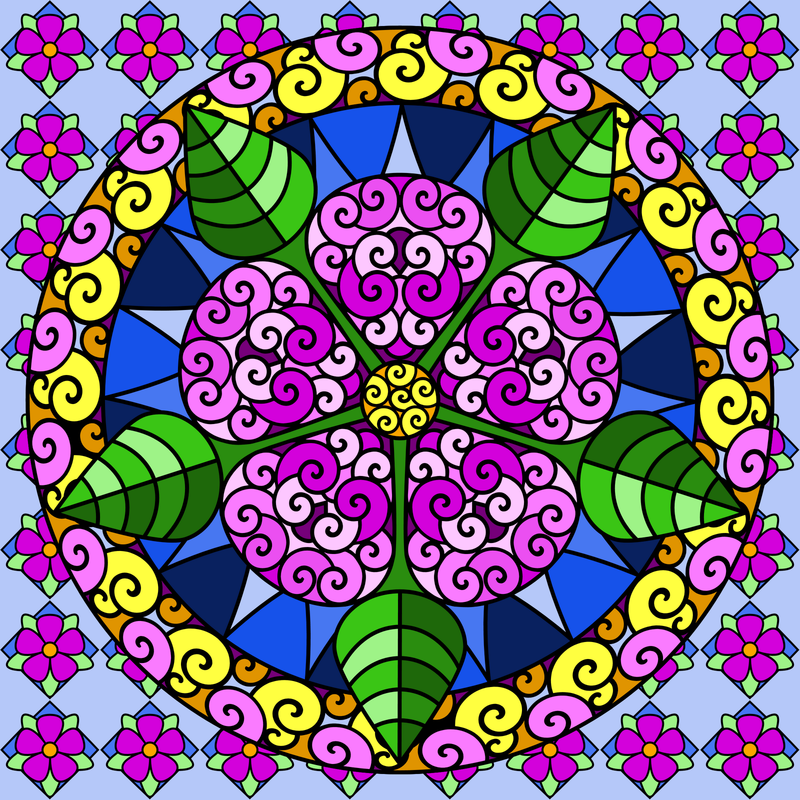 These are really pretty coloring designs. Thanks, Shala!